VSA: How long has Littlest Vintage been trading? Littlest Vintage : Our Glen Osmond Rd store opened a month ago; before that we had a pop-up store in Prospect during the second half of 2011. VSA : How did you manage to get Littlest Vintage off the ground? Littlest Vintage : We started running stalls at various markets around Adelaide as a way to justify our love of hunting, finding and restoring vintage wares. 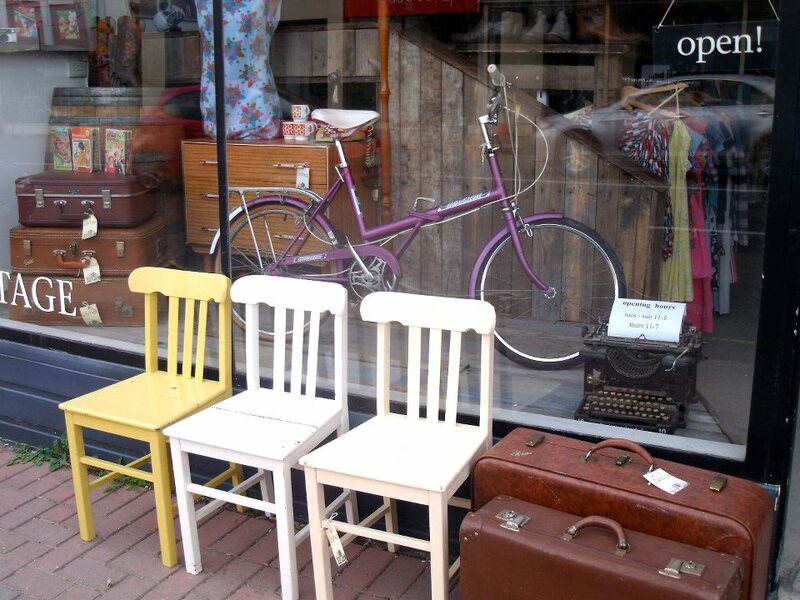 We then got the opportunity to start trading as a store in a Renew Adelaide pop-up space, which we had for 6 months. This opened our eyes to the vintage retail world, and the fact that opening our own store was possible. VSA : With 3 partners, what roles do each occupy within the business ? Littlest Vintage : Lauren and Mecia share all the business, organisational and promotional roles. Matt volunteers his (awesome) MacGyver handyman skills, and the three of us share the role of ‘checkout chick’. 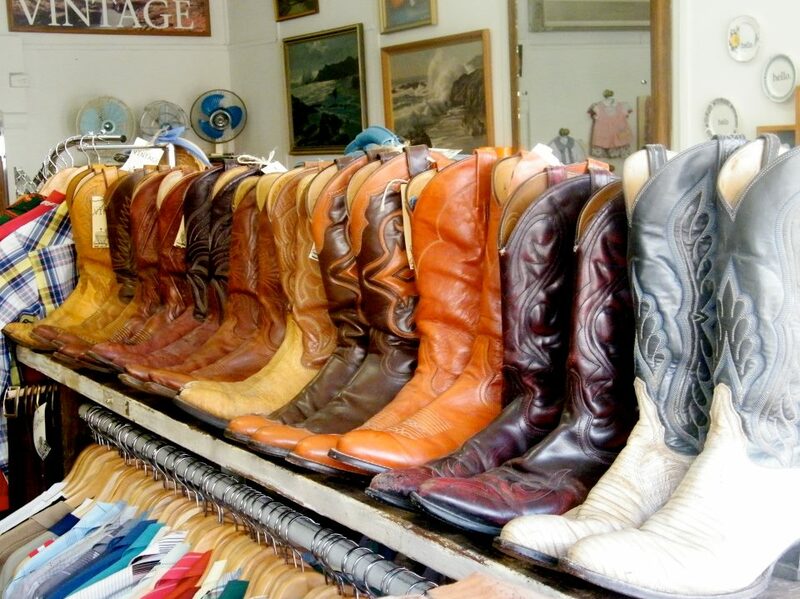 VSA : What’s the most amazing find you’ve had in your store ? 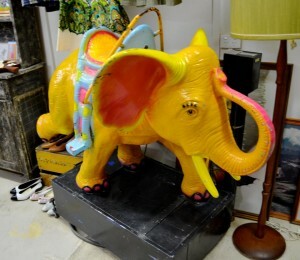 Littlest Vintage : We love our vintage elephant ride. He still works a treat and kids (and those of us who refuse to grow up) ride him daily. Other than that, we’ve had some ace record players through, and we all loved the Maton ’59 Premier Acoustic. That was a great find! VSA : If you discover an amazing piece that’s a keeper, how do you decide who gets first option? LittlestVintage : We often source things individually; we also have slightly varied tastes so we rarely need to resort to fisty-cuffs. VSA : Tell us about the variety of items we might find in your shop? 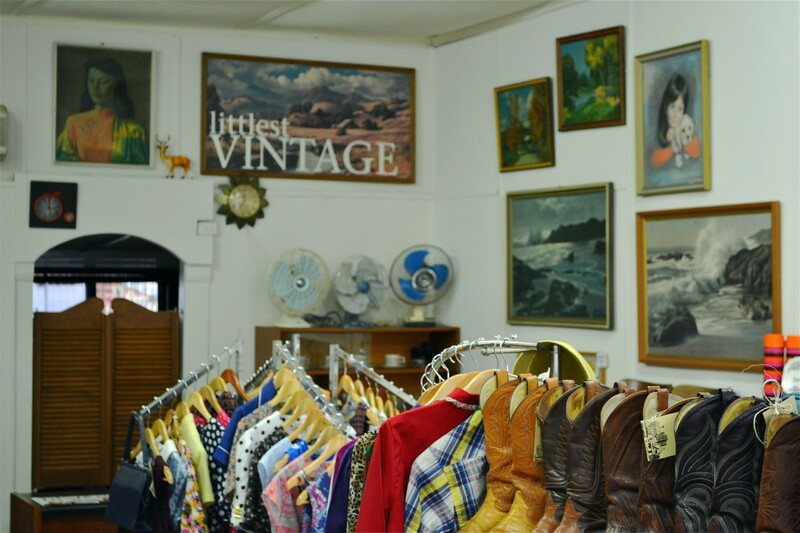 Littlest Vintage : We stock mens, womens and kids vintage clothing and accessories from the sixties, seventies and eighties. 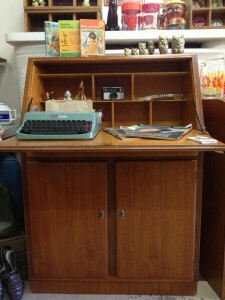 We also stock vintage (mostly deco) furniture, and homewares, cameras, typewriters, record players and guitars. We have a few vintage bicycles come through on occasion, and we stock hand made accessories and cards by lovely Adelaide artists. 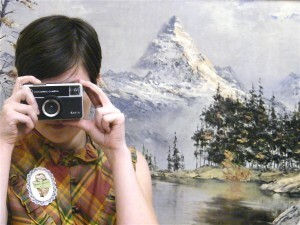 VSA : Do you have similar interests in vintage fields? Littlest Vintage : Our interests are quite similar, but Matt definitely loves his vintage western-wear, guitars and deco furniture. Mecia is quite devoted to knitwear; dresses with enormous collars and kitsch home wares (particularly items that are kitsch to the point of hilarity). Lauren is always seeking out typewriters, sixties dresses and pretty much any vintage ceramic ornament that she can somehow fashion into a ridiculous brooch. VSA : Who are your favourite designers or artists? Littlest Vintage : We are fans of local artists who repurpose or upcycle vintage pieces; other than that we all bow down to the ultimate awesomeness of Tretchikoff, Shabner, Lynch and Jansen. VSA : What is it most you love about your shop? Littlest Vintage : We love that we get to constantly seek out those elusive vintage gems and share our finds with other retro-enthusiasts. 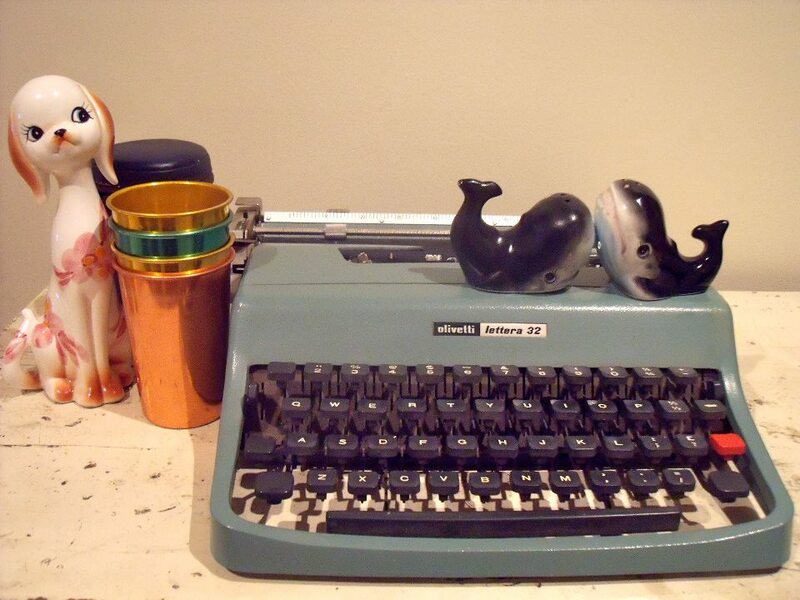 It’s also great to see customers get all nostalgic when they find a piece in our store that’s ‘just like grandma used to have’ or when little-ones come in and ask us where the typewriter’s mouse is. 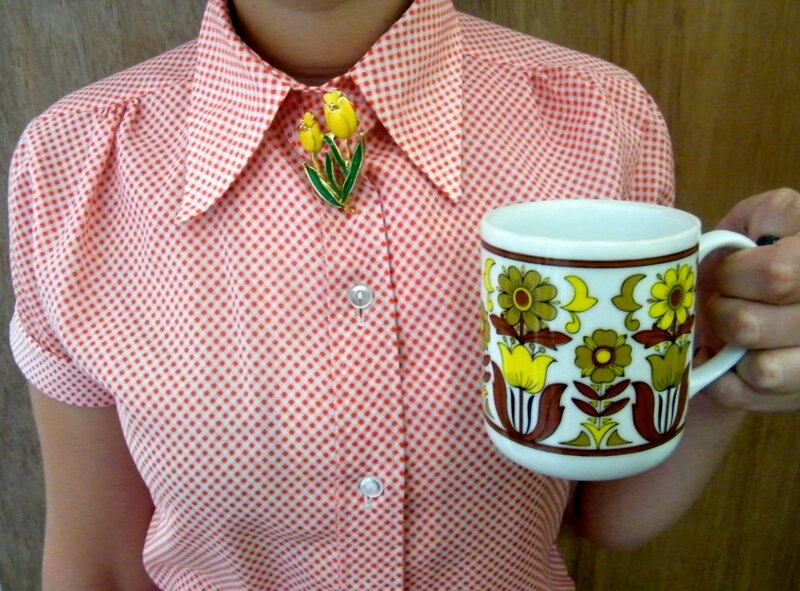 VSA : Who are some of your favorite Australian vintage shops in another states? 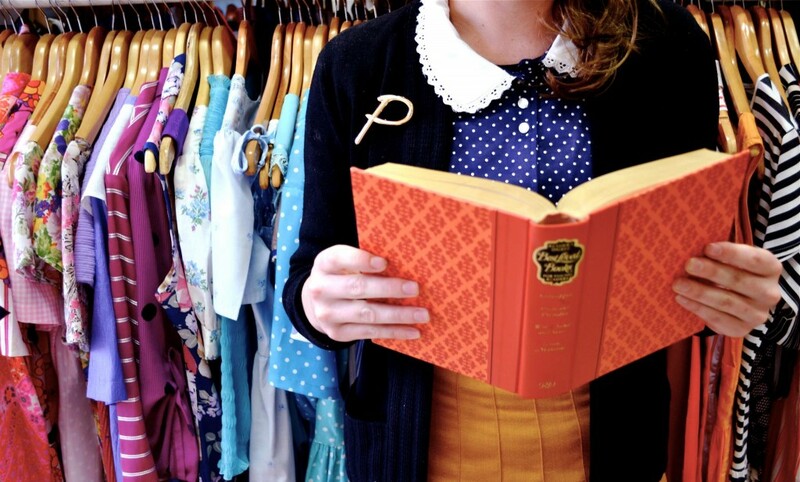 Littlest Vintage : We are big fans of Lost and Found in Melbourne, and The Mill in Ballarat and Geelong. 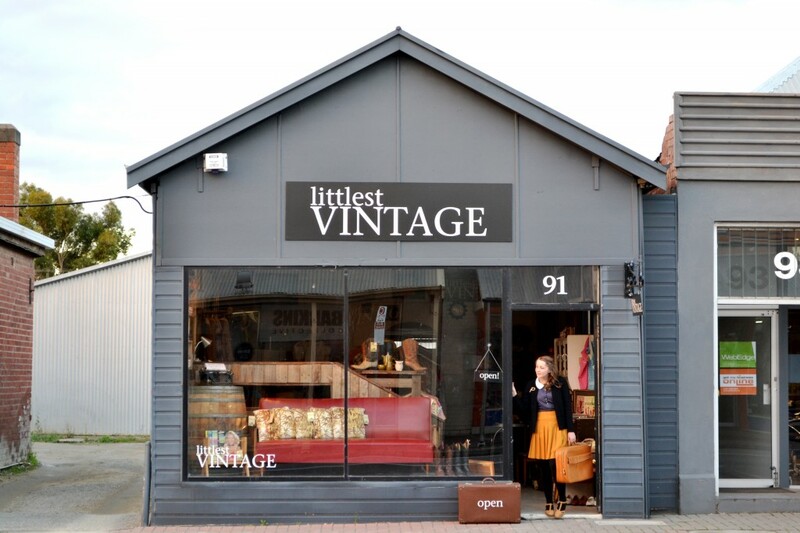 VSA : Littlest Vintage has just moved to a new store. Is there anything new you have introduced that wasn’t in your old store? Littlest Vintage : Given the one-off nature of our vintage wares, our stock is forever changing. In our new store, 99% of our fixtures have been upcycled from old pieces. Our window platform/stage was constructed from a wooden trailer and pallets. Our main clothes rack was made from a 1940s door and old water pipes. Our wall racks were once someone’s trusty ladder, and our bag hooks are deco doorknobs. VSA : Where can we find your new store and what are your trading hours? 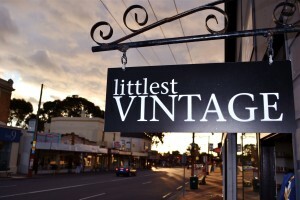 Littlest Vintage : 91 Glen Osmond Rd, Eastwood, SA. This entry was posted in interviews - vintage shops and tagged 50's, 60's, 70's, clothes, clothing, collectables, Littlest Vintage, mens vintage, reproduction vintage, retro, shop, vintage shopping, Womens. Bookmark the permalink.